Here is an amazing ad I remember seeing back in the day, in the 50s when I was still in grammar school. I don’t know if there really ever was a proven product that would make you lose weight by chewing gum, but here it is in rather black and white. 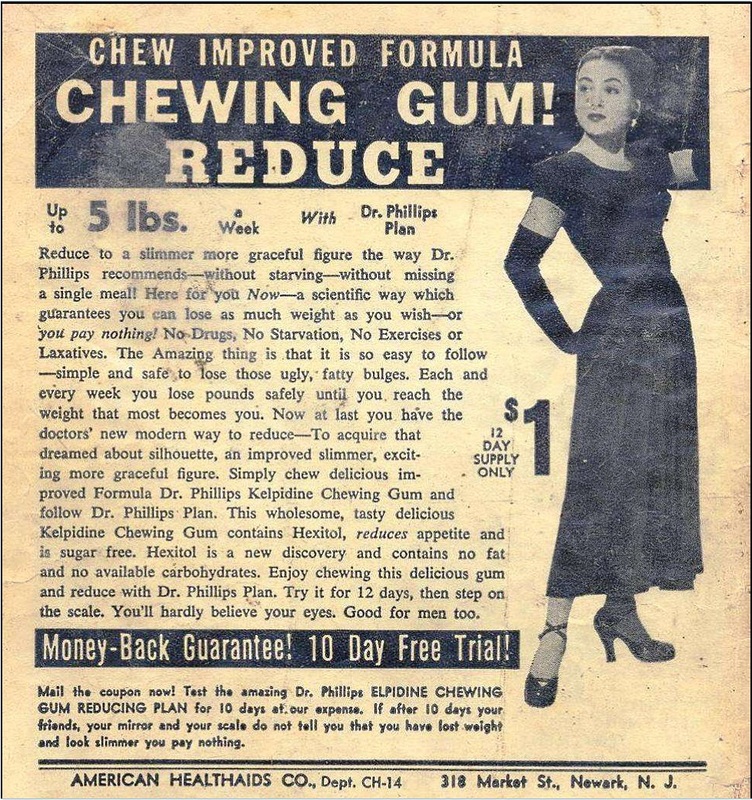 Read the ad and see for yourself that this gum would save anyone the toil of exercise, eating the right foods, or being able to religiously follow a regimen for losing weight like that advertised today.